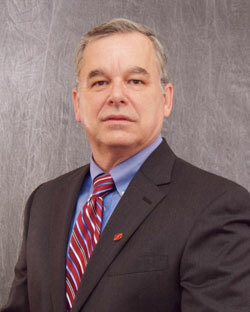 We are pleased to announce that Dennis Martin has joined Strongwell as Director, Virginia Manufacturing Operations. Dennis will report to the Chief Executive Officer and will be responsible for leadership of all manufacturing and shipping operations in Bristol and Highlands. He will also have responsibility for the material control, process engineering, tooling/die, and maintenance functions for both facilities. Dennis comes to Strongwell with over 35 years of experience in manufacturing management. He has a broad range of experience in Safety, Business Planning, Supply Chain Management, Maintenance, Lean Manufacturing and all facets of Operations Management. His most recent position was Operations Manager with Silgan Plastic Closure Solutions where he was responsible for manufacturing operations as well as maintenance, engineering, and planning for the company’s Kingsport Tennessee facility. Prior to that, he held Operations Management positions within the forging industry, serving aerospace, nuclear, commercial, military, and automotive markets. Dennis holds an MBA from the University of Tennessee and a BA in Business Administration from Baldwin Wallace College. He resides in Abingdon Virginia with his wife Kathy. He has four grown sons, three grandsons and one granddaughter. He enjoys spending time with family, attending theatrical shows at the Barter Theater, walking the Creeper Trail, and traveling. He is also an American History enthusiast. Please join us in welcoming Dennis to Strongwell.